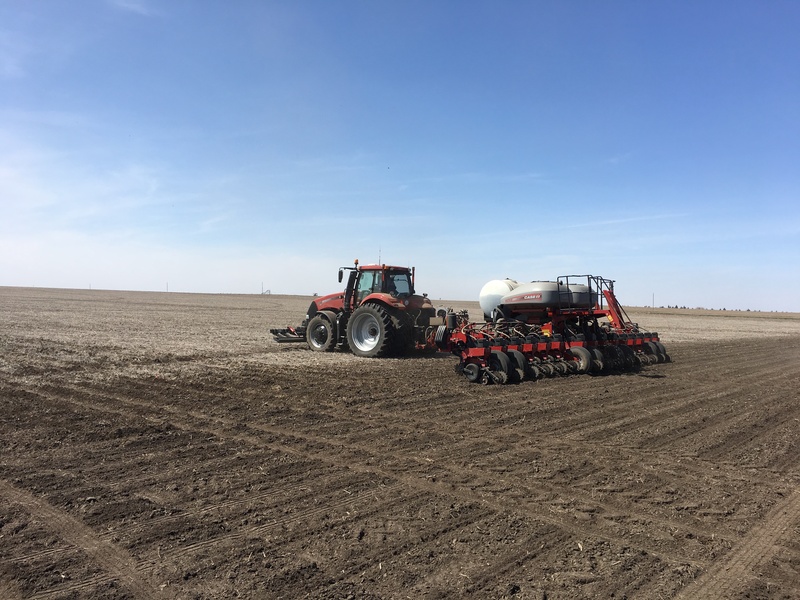 Details about the planting conditions, planter performance, and the need for future planter maintenance can be gleaned from a few measurements and counts once corn emerges. The plant population is important, but so is the uniformity of emergence and a consistent spacing between plants. Problems with plant spacing are often the result of improper planter speed. Higher speeds can cause row units to bounce, and seeds do not drop evenly down the seed tube. If spacing is off, also inspect the ends of the seed tubes for cracks or burrs of plastic that may be catching the seeds. A higher frequency of doubles and skips is often the result of planter singulation problems. Singulation is how the seeds drop off the seed disc one at a time down the seed tube. Worn out seed discs or seed meter parts, incorrect vacuum, and seed size will affect singulation. When stand is fully emerged, take percentage counts of the doubled up plants. A plant stand with less than 0.50% doubles is good and any percentage over 1.0% is a red flag for planter related problems. Skips in the stand should be dug up to determine why the plants did not emerge. An inconsistent seed depth could be the results of too little or too much down pressure, worn out seed firmers, or poor seed bed prep from working the ground ahead of planting. Scouting for seedling pests should be done the first few weeks after plant emergence. Seed corn maggots and wireworms will thin emerging stands by damaging the seed. Wireworms can also cause damage to emerged plants if feeding on the growing point occurs. In furrow insecticides and seed treatments usually do a good job controlling seedling pests. Unfortunately rescue treatments are usually ineffective. Black and Dingy Cutworm are more common pests and can cause a lot of damage to plant stands if left unchecked and untreated. Cutworms feed above and below ground, making both in furrow and rescue treatments effective. When cutworms are present, you will first notice chewed on leaves or clipped plants. Plants can recover and grow back from this type of injury, but as both the plants and cutworms grow in size, significant stand loss can begin to occur while the growing point of the corn is still below ground. The cutworm will tunnel into the base of the plant, killing the growing point and causing the plant to wilt and die. If injury from cutworms exceeds 3 percent, then a rescue treatment should be considered.